Megan has been an Aesthetician since 2005 and Waxing Educator for Salons/Spas in the Midwest since 2007. Upon graduating from aesthetics school in 2005 she worked for two locally owned spa/salons on Grand Ave in St Paul. There she was very fortunate to work and train with many different skincare lines and some of the best aestheticians in the industry. 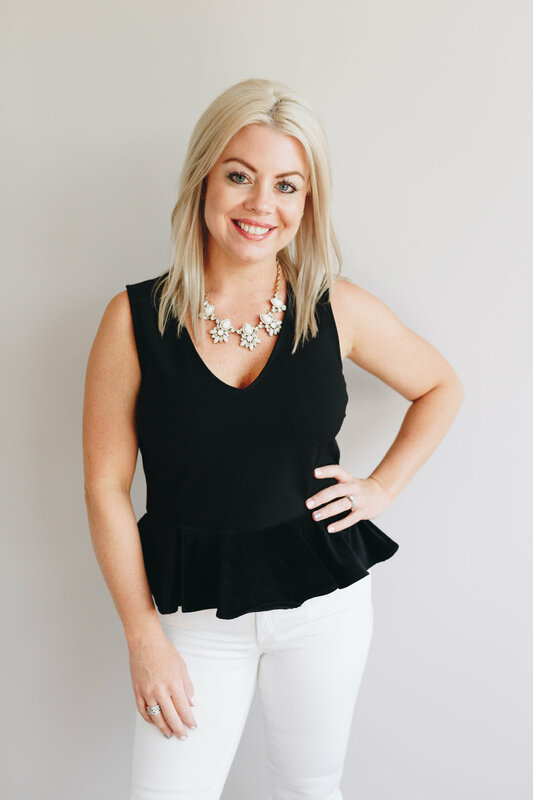 In 2009 She moved to Edina and opened Aesthetic Skin Studio where she provides private practice skincare services specializing in full body waxing, “result driven” customized facials, skincare solutions and brow and lash tinting. For 9 years Megan provided her services independently in her private studio out of Sola Salon Studios. In May of 2018 she opened a new location on 76th and York inside the York Business Center in Edina. Here she has partnered with Naturopathic Doctor, Katie Corazzo, to provide many more services to her clients. We are now offering Naturopathic Medicine, Massage Therapy, Chiropractic, Mental Health Therapy and many more services to come in the future. Aesthetic Skin Studio carries some of the top skincare lines in the industry including Rhonda Allison, Image, Osmosis Skincare & Makeup and All Good SPF & Bodycare. At Aesthetic Skin Studio we love giving “Result Driven Facials”. Many clients have been able to stop using medications that have been prescribed for their skin conditions through our services and their personalized homecare plan we recommend. Seeing clients gain their confidence back with their skin is so amazing! We also use Nufree for our body waxing services, the only soy based wax available on the market that is also antibacterial and antimicrobial. We abide by the highest professional standards in waxing including no double dipping. Megan specializes in bikini and brazilian waxing, her most sought after service, and prides herself in making her clients feel comfortable and at ease during their appointment. Being an educator herself, Megan thinks it is very important to continue your education throughout your career. Along with attending and learning from skincare conferences each year, she also learns so much from the amazing aestheticians she meets doing education for Nufree. All of this allows her to keep current on new trends in skincare and waxing and to remain one of the industry leaders in the field. Megan loves what she does and truly looks forward to meeting you! Molly's holistic approach to massage and bodywork allows her to work with a wide range of clients. Whether you are looking for a relaxing massage, prenatal or postnatal massage, relief from chronic or acute pain, aromatherapy, reflexology, manual stretching or deep tissue work...Molly is the massage therapist for you! She tailors each massage to fit your needs by combining her passion for fitness and wellness and her knowledge of the human body to give you a truly unique experience. With her clients’ wellness in mind, Molly constantly seeks continued education and expands her depth of knowledge for her modalities and practices. Throughout the years, Molly has been a massage therapist at LiteSpa and Barre Bliss. Molly is a Minnesota native with a passion for health and wellness that began at an early age. As a lifelong dancer, she took a keen interest in the human body during Anatomy and Physiology classes. In 2000, she completed her massage certification from the Minneapolis School of Massage and Bodywork, now a part of the CenterPoint Massage and Shiatsu Therapy School. Molly's passion for dance and fitness led her to become a certified Barre Fitness Instructor in 2011 after completing her Power Yoga Teacher Training through Corepower Yoga in 2010. Molly is currently accepting new massage clients. Click the button below to schedule your appointment! Kristy has been in the Beauty Industry for over 15 years and takes a holistic approach to best serves her clients' skin and lifestyle. She believes in the bodys' ability to heal itself and utilizes her knowledge to help assist your skin in this process. During your facial she will focus on pressure points during her face and hand massages (which feels amazing!). Striving to keep herself up to date on the latest beauty trends she is a certified brow expert through Arch Addicts and certified in Ellebanna Lash lifts. Kristy possesses a unique touch and perfectionism with her brows and lashes. You can expect her personality and passion to show in every service she does. Lets make your radiance to shine! Kristy is currently accepting new clients for facials, waxing, lash lifts, and more. Click the button below to schedule your appointment!